On display are Édouard Manet's Prune de Mirabelle (1880), Mary Cassatt's experimental etching At the Dressing Table (1880), and Pierre-Auguste Renoir's beautiful oil on canvas, Pêches (c. 1906). Among the earlier works in the exhibition, a major Divisionist work by Jean Metzinger from 1903, as well as a beautiful and expressive painting by André Lhote. Also included in Aspects of Modern Art are a number of French Expressionist watercolors and paintings, which include pieces by Bela Czóbel, Marcel Gromaire, and a striking mixed media work by Georges Rouault: Two Judges, 1912. Cubism is well represented with paintings by Albert Gleizes and Fernand Léger. Together with a major lithograph by Matisse, the exhibition culminates with a group of five Picasso's superb graphic works, including an extraordinary impression of his Faun Musician no. 4(1948). 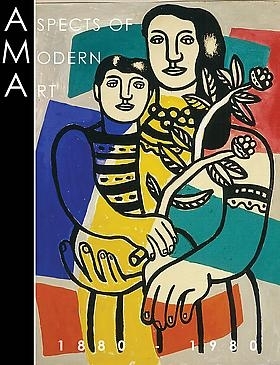 Aspects of Modern Art: 1880-1980 is accompanied by a 98 page catalogue comprising of scholarly descriptions of all works in the show. The exhibition will run through April and May. R. S. Johnson Fine Art is open to the public Monday through Saturday, 9 – 5:30. Student groups are particularly welcome.